Legendary navigator Nainoa Thompson first conceived the idea of Malama Honua, a worldwide voyage, in 1992. When Hōkūle`a returned to Hawaii last June, the open air, double hulled canoe had been at sea for three years and covered more than 40,000 nautical miles. Hōkūle‘a’s solar panels power communications, enabling school children to track her every move and learn about other cultures and their oceanic legacies. One hundred and forty organisations in Hawaii and around the world support “The Promise to Children” – an initiative to explore, discover and navigate a sustainable future. Since her return in June 2017, Hōkūle‘a’s gratitude tour has taken her around the island. She rings in the New Year in Ko Olina, arriving at 10:30 am at Ko Olina Marina, signalling a new era focused on sustainability and ocean advocacy. 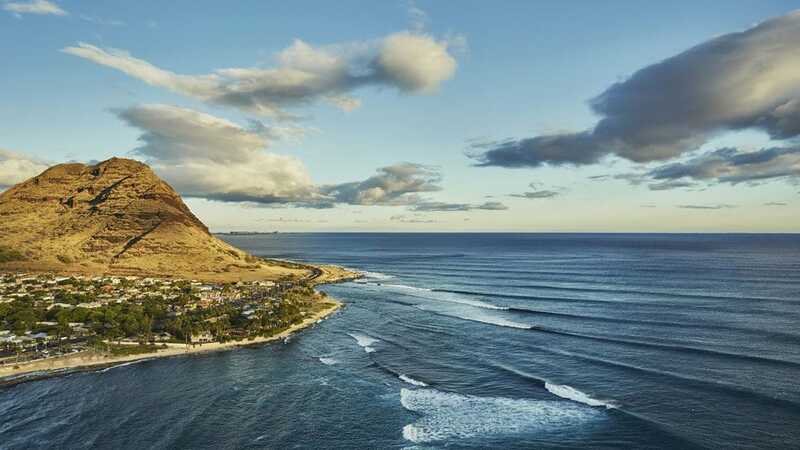 “We are thrilled to welcome Hōkūle‘a to Ko Olina and share this historic event in partnership with Ko Olina Resort and Four Seasons guests from around the world,” says Sanjiv Hulugalle, General Manager at Four Seasons Resort Oahu at Ko Olina. On Sunday, January 28, 2018, Four Seasons will present Nainoa Thompson in an on stage event titled Hōkūle‘a: Navigating a Sustainable Future followed by a panel discussion with Hōkūle‘a crew members. The event, presented in Four Seasons Ocean Ballroom, is open to all ages, with a suggested donation to the Polynesian Voyaging Society. Guests and community are warmly welcome to attend. The public is also invited to join crew members at Stars Above Hawaii, an #FSWayfinders experience, at 8:00 pm the same evening, on Four Seasons Ocean Lawn. Nainoa Thompson is the President of the Polynesian Voyaging Society and a master in the traditional Polynesian art of non-instrument navigating. Inspired by his kupuna, his teachers, he has dedicated his life to exploring the deep meaning of “voyaging.” Among many other important mentors, Yosio Kawano took him at an early age to tide pools to explore the mysteries of the inshore ocean; Herb Kane introduced him to the stars his ancestors used to navigate great ocean distances; and pwo navigator Mau Piailug taught him to see the natural signs he would use to guide Hōkūle‘a, a replica of an ancient Polynesian voyaging canoe, throughout Polynesia. Nainoa’s father taught him the universal values of voyaging – of having a vision of islands rising from the sea, of self-discipline, preparation, courage, risk-taking and the spirit of aloha that would bind a crew on arduous journeys. As part of the Polynesian Voyaging Society’s educational mission, the Hōkūle‘a crew in partnership with Ko Olina Resort will be welcoming Oahu schools and the community to Ko Olina Marina to learn more about the legendary canoe and the importance of cultural and environmental stewardship. The Mahalo, Hawaii Sail will give PVS an opportunity to thank Hawaii’s people, bring Hōkūle‘a and Hikianalia home to all of Hawaii, share lessons learned from the Maalama Honua Worldwide Voyage and deepen the organisation’s connection and understanding of the important work being done here in the islands to care for the earth. During the port visits, PVS will engage with schools and organisations through outreach events, service projects, crew presentations and canoe tours. A symbol of cultural revival, the history of Hōkūle‘a is also being shared on this journey to inspire other indigenous cultures. This replica of an ancient Polynesian voyaging canoe was built 40 years ago and revitalised voyaging and navigation traditions throughout the Pacific. The canoe’s twin hulls allow her to handle large ocean swells and recover easily in the troughs of waves, and her triangular canvas sails can harness winds up to 20 knots. Hōkūle‘a first set out on the Pacific Ocean in 1975. Through the revival of the traditional art and science of wayfinding-­navigating the sea guided by nature using the ocean swells, stars and wind, Hōkūle‘a sparked a Hawaiian cultural renaissance and has reawakened the world’s sense of pride and strength as voyagers charting a course for our Island Earth.